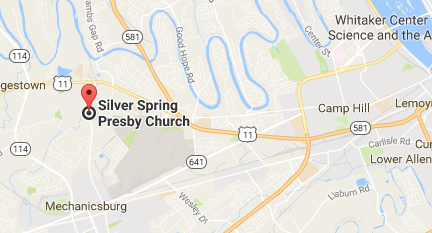 The Stephen Ministry at Silver Spring Presbyterian Church is a confidential ministry to help those who are hurting. A Stephen Minister is a trained, Christian, lay person who provides a strictly confidential caring and spiritual presence that encourages a person in distress to share emotional or spiritual pain. Our Stephen Ministers have gone through fifty hours of intensive training and are ready to offer faith based care to people in our congregation and community who are going through situations of grief, illness, loss of job, divorce, difficult preganancy, loss of friends, financial problems, among other crises. Even some happy experiences can bring stress and rattle our lives. Change, whether good or bad, large or small, may cause a ripple effect and become problematic. Our program of complete confidentiality provides a safe place for those who need to talk without judgement or the fear of their story being retold. The relationship between a caregiver and care receiver is one of loving kindness, caring, and intent listening. We are not professional therapists or counselors who have solutions; we are not "fix-it" people. God can fix problems. You, with your Stephen Minister, can open the dors to let God help you. 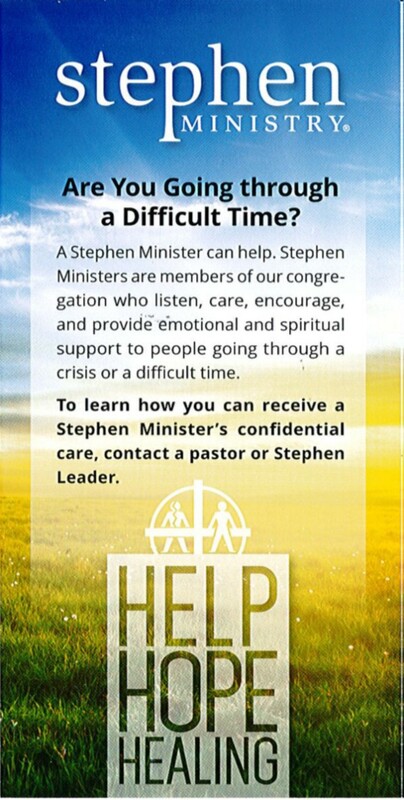 Please contact our referral coordinator, Sally McGaffin, (717) 697.1479, to arrange for a relationship with a Stephen Minister or for information regarding becoming a Stephen Minister.